One of the most comforting aspects of the Catholic Faith is the Communion of Saints. Scripture tells us about the “cloud of witnesses” that surrounds us. Even after physical death, the saints remain alive, and are even keenly aware of what is taking place on earth among the Church Militant (see Revelation 5:8). Some of the greatest indications of this communion of saints come in the form of Marian apparitions. These are moments when the Blessed Virgin Mary appears to us here on earth, letting us know that her prayers for us are being offered to God. It also reaffirms the fact that the Blessed Mother always points to her son. Just as she said at the Wedding Feast of Cana, “Do whatever he tells you”, in many of these apparitions she reminds us to do the will of Jesus Christ. But how does an apparition get approved as being worthy of belief? This piece will bring to light what the Church teaches on the matter, and also reflect upon some of the most well-known (and approved) apparitions, as well as placing a spotlight on those you may not be as familiar with. “Throughout the ages, there have been so-called ‘private’ revelations, some of which have been recognized by the authority of the Church. They do not belong, however, to the deposit of faith. It is not their role to improve or complete Christ’s definitive Revelation, but to help live more fully by it in a certain period of history. Guided by the Magisterium of the Church, the sensus fidelium knows how to discern and welcome in these revelations whatever constitutes an authentic call of Christ or his saints to the Church. Whenever Our Lady appears in those visions which are deemed worthy of belief by the Church, we see that she never contradicts the gospel or the authority of the Church that her divine Son founded. In many cases, Our Lady often asks the visionary in question to collaborate with the bishop, asking that nothing be done without his authority. As it turns out, the criteria for judging the character of any presumed apparitions, found in the Vatican’s norms linked above, includes an instruction stating that the subjects must have “sincerity and habitual docility towards Ecclesiastical Authority”. Some of the “negative criteria” include doctrinal errors attributed to the Lord, or Our Lady, or any of the saints. Suffice it to say, if an alleged apparition is contradicting the Church or divine Revelation, no matter what positive fruits may be coming from it, you can be assured that the apparition does not originate from God. With that being said, below is a brief dive into five Marian apparitions that have been officially approved by the Holy See. 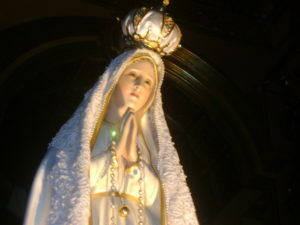 Each of these apparitions have been deemed as worthy of belief, but in no way must any Catholic be compelled to venerate Our Lady under such titles. All that the Vatican and bishops have done is confirm that there is nothing contradictory to the Faith in the messages that have emerged from the apparitions, that the visions are credible, and that the Blessed Virgin Mary can be venerated under that specific title attributed to her. Some of these apparitions may be familiar, but others that are less familiar to us are no less important in what they contain. This particular apparition is one of the most well-known throughout both the Catholic and secular world. 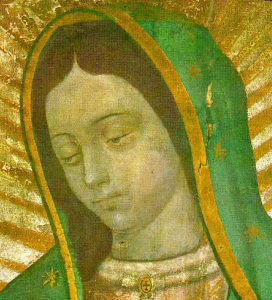 In the year 1531, St. Juan Diego received visions of Our Lady on a hill near Mexico City. The site actually used to house a pagan temple where human sacrifice was conducted. Our Lady instructed St. Juan Diego to seek out the Bishop of Mexico, asking him to build a church on the very spot our Lady had appeared. When St. Juan Diego first sought out Bishop Juan de Zumárraga, the bishop asked that he bring back a sign from Our Lady. Our Lady again appeared to St. Juan Diego, and when he appeared before the bishop again, he unfolded his tilma, revealing not only flowers that were out of season, but also a miraculous image—which we now know as Our Lady of Guadalupe—superimposed on the fabric. Despite being nearly five centuries old, the tilma has shown no sign of degradation, and the miraculous image is still venerated by scores of pilgrims each year. 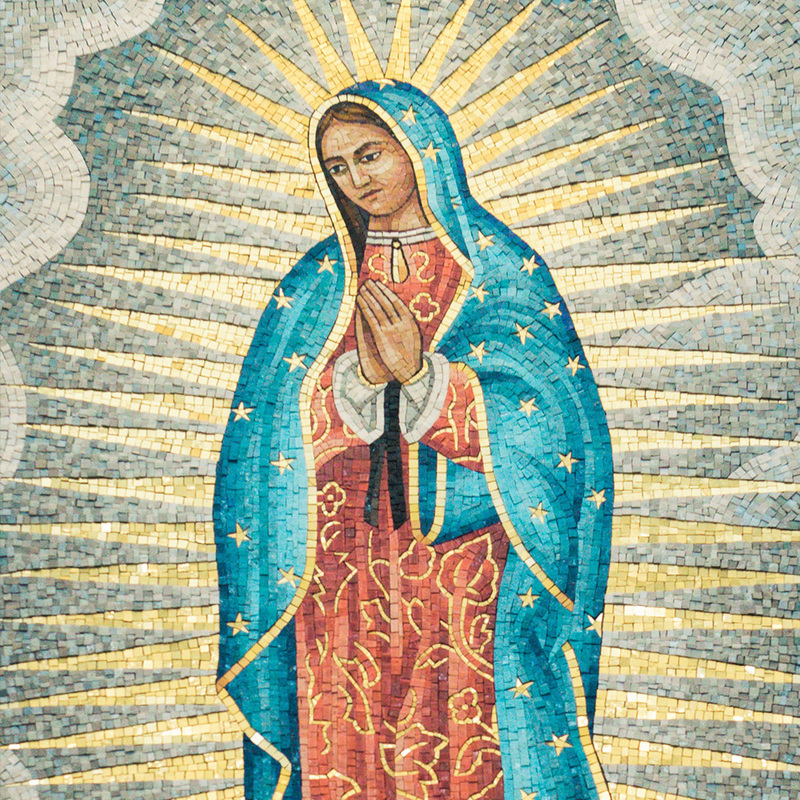 On October 12, 1895, Pope Leo XIII led a canonical coronation of Our Lady of Guadalupe, and she has also been recognized as the patroness of the Americas, and of Mexico in particular. The Feast of Our Lady of Guadalupe falls every year on December 12, which is the final day she appeared to St. Juan Diego. 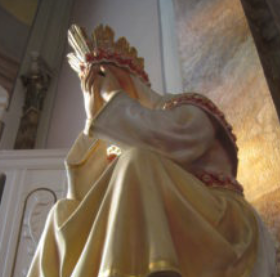 A canonical coronation was bestowed upon the Blessed Mother’s image at the Basilica of Our Lady of LaSalette by Pope Leo XIII on August 21, 1879. The Feast of Our Lady of LaSalette is commemorated each year on September 19. This Marian apparition is not as widely known in North America, but is important nonetheless. Also known as the “Virgin of the Golden Heart”, Our Lady appeared to five children thirty-three times between November of 1932 and January of 1933. 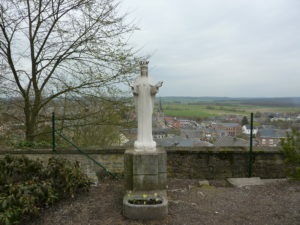 Our Lady of Beauraing in Belgium appeared dressed completely in white, asking the children to “pray, pray, pray” for the conversion of sinners, and also asked for the building of a chapel, desiring that people go on pilgrimage. She identified herself as “the Immaculate Virgin”, and on the day of her last appearance to the children, she revealed to them her golden heart, which is where her nickname originates. The last visionary, Gilberte Degeimbre, died just over three years ago, and her simple witness to the gospel and to Our Lady’s directives should be an example to all Catholics. Veneration to Our Lady under this title was approved by Pope Pius XII in 1949. The feast of Our Lady of Beauraing is celebrated each year on August 22, the traditional date of the Feast of the Immaculate Heart of Mary. What sets apart this Marian apparition from the others is that not only was Our Lady seen by eyewitnesses, but so were other saints. Also, this particular apparition does not contain any locutions or particular messages. Most Americans are more familiar with this particular apparition as opposed to the previous two described, but despite this, it’s another apparition we don’t hear about often. On the evening of August 21, 1879 in the village of Knock, Ireland, fifteen people of various ages saw an altar with a cross above it. Upon that altar was the Paschal Lamb, and next to the altar were St. Joseph, St. John the Apostle, and the Blessed Virgin Mary. None of the figures spoke a word, and the eyewitnesses stayed on the spot praying the Rosary for the two hours that the apparitions remained. One of the other miraculous events that took place concerned the weather. During these two hours, there was rainfall. However, the ground around the apparition site remained dry throughout. St. John Paul II visited the shrine of the apparition on the miracle’s one-hundredth anniversary. 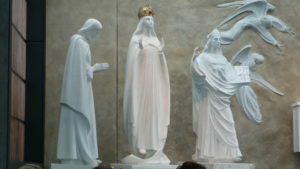 The Feast of Our Lady of Knock is celebrated August 21. Over 70,000 eyewitnesses experienced the “Dancing of the Sun” on October 13, which led to many conversions. Our Lady’s call was to pray, particularly to pray the Rosary. The Feast of Our Lady of Fatima is celebrated on May 13. Much more could be said about each of these apparitions, and there are several others as well which are worthy of mention, such as Our Lady of Kibeho, Our Lady of Lourdes, and Our Lady of Gietrzwald. It’s clear that the Mother of Our Savior wants to see us turn our hearts to her divine son. If we’d only heed her requests, and lead a life of holiness, so that we may enjoy our Lord Jesus’ presence in heaven. Does God Command Evil Acts in the Bible?